If I lived in Laredo, Texas, I’d quit my job and open a bookstore. 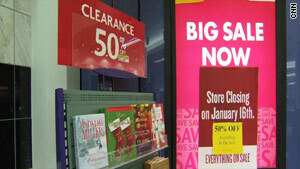 According to CNN, as of January 16, the town’s only bookstore closed on January 16th. That means a city with approximately 250,000 residents doesn’t have a store. The closest bookstore is 150 miles away, in San Antonio. I see opportunity written all over the news of that closing. Especially when you learn that the B. Dalton store that was closed was making money. I’m not going to completely fault Barnes & Noble for their decision. Mall stores like B. Dalton are going the way of the Dodo bird. Bigger stores like Barnes & Noble and Borders offer more selection and a better shopping atmosphere. But as the town’s only bookstore it was making a profit! What businessperson in his or her right mind would close a profitable store—especially when you have a monopoly in your city? It’s not like Laredo residents won’t be able to buy books. (There’s always Amazon.com.) And instead of complaining about the store closing, I’d start finding investors that would be interested in opening a better bookstore—one that had so many books and was so fun to shop at that people would drive from San Antonio to buy their books. Local and national authors would be knocking down the doors to do book signings because of the store’s popularity. If only I lived in Laredo.